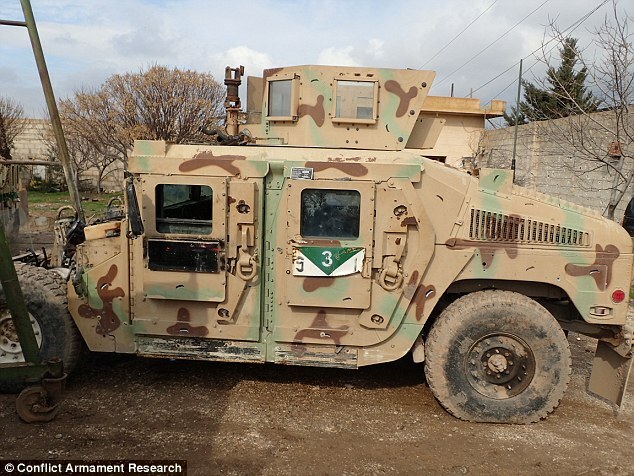 Hezbollah terrorists featured U.S. armored personnel carriers in their latest video, and nobody seems to know how they got their hands on them. The latest propaganda video was shot in Syria, where Hezbollah is forward deployed at the behest of its Iranian masters. Hezbollah is a Lebanon-based terrorist organization, heavily sponsored and managed by the Islamic Republic of Iran. Hezbollah also remains a powerful political entity in Lebanon, where it is entrenched in the government. The Washington Post notes that some defense analysts believed the armored personnel carriers either were stolen from the Lebanese military or given up voluntarily. The U.S. has provided the Lebanese military with $221 million in U.S. military aid in 2016 so far, some of which came in the form of armored personnel carriers. The U.S. aid is provided to help Lebanon combat the growing threat of violent extremists from Syria. A careful review of reports from Libya over the past few years corroborates some parts of that account, but contradicts others: Some Libyan rebel leaders, including at least one who had spent time in a training camp in Afghanistan and who was in that country in September 2001, specifically asked Western countries to send Stinger missiles. Qaddafi’s intelligence services believed that the rebels were having the missiles smuggled in over the country’s southern border — but they believed the French were supplying the missiles. To save Eric Holder and the Department of Justice the trouble of reading my e-mail or collecting my phone records, all of the information in this report is gathered from public and open sources, both in the U.S. and overseas, and none of it can be considered classified or sensitive.